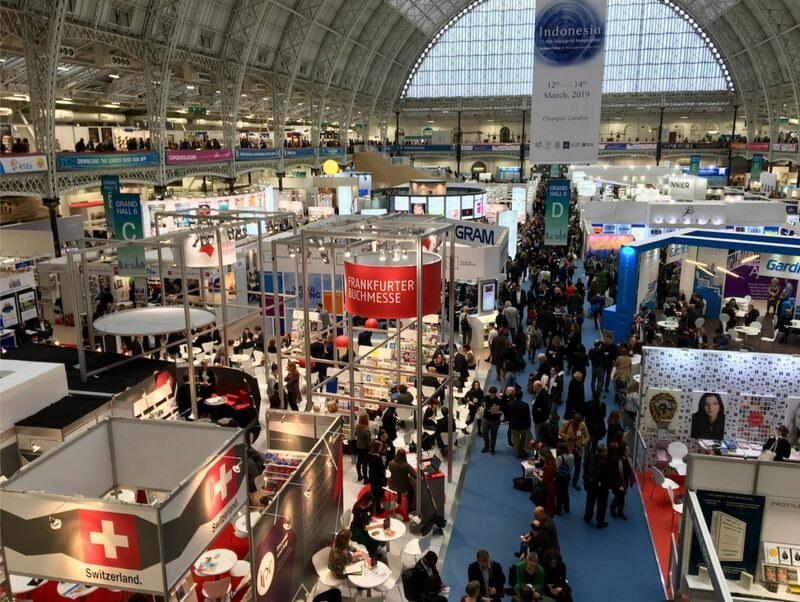 The London Book Fair holds a special place in Librio’s history. It was there that I took my first steps into the publishing industry after a decade in ad tech. As it happens, those first steps led me into a bench, which gave me a bruise on my shin which lasted for weeks. Each year, I excitedly return to London to take both the pulse of the children’s book market and that of Librio to see how we are developing. In 2017, I had just quit my job two weeks previously. I was overwhelmed by the immensity of the book fair, awed by the enormous stands of the publishers, pained by the sharpness of the benches to an unsuspecting shin. Librio was nothing more than a business plan and a belief that the world needed what we were going to give it. In 2018, I returned, having built Librio from one person to a team of five, all of whom had combined to build the entire infrastructure required to sell our first personalised book, The Tree, The Key & Me. By the time of the London Book Fair 2018, we had 2,500 sales under our belt. In 2019, I returned with something which resembles a viable business. 30,000 books sold. 20,000 books donated via our partner Room To Read. After two years of a lot of hard work and a lot of fun, we can begin to dream. The world might indeed want what we are giving it. Where will we be in March 2020? And where will the children’s book market be? One thing you notice when you study the book market is that publishers move in flocks. Somebody brings out a hit in a certain genre and suddenly everybody is doing books in that genre. So what’s hot now? At the moment, we are in a time of BIG Books. Wonderful, highly illustrative, absorbing works of art. If you’d like a BIG Book, your best bet is to start with the wonderful MAPS by Aleksandra Mizielinska and Daniel Mizielinski, which started the genre along this road. We are also in a time of non-fiction books. Once a dry, serious genre, they are now brought to life by beautiful illustrators and engaging narrative texts. Special mention to Shackleton's Journey by William Grill. We are also in a time of Emotional books. Books which tackle difficult subjects like being different, sadness, war, even death. Maybe a reflection of our difficult times where children and adults alike are in need of solace. Check out the incredible The Journey by Francesca Sanna as one of the forerunners of these books. We are also in a time of Unicorns. Countless books about unicorns. And books about mermaids. As with every year, there are numerous talks on how to increase diversity in publishing to show children of all backgrounds in books. As with every year, we quietly suggest that personalised books might be a great way of bridging this divide. In general, the London Book Fair is an invigorating place for a publisher to be. An incredible opportunity to gaze at thousands of books, to watch the Book People go by - people who couldn’t work in any other industry than books - and to marvel at all the deals getting done for books you’ll never hear of and books which will be the next blockbusters. As i left Heathrow with the BBC News televising the heated exchanges in the latest Brexit debate, I reflected that whatever deal the UK makes in the coming months, it hopefully won’t too badly impact the incredible publishing industry housed in its capital. Now on to Bologna next month, home of the world’s largest children’s book fair. It is as wonderful as it sounds.